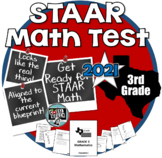 Great practice for the STAAR test! 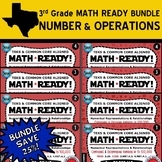 Includes 24 task cards, a gameboard, an answer key, an answer document, and station punchcards. 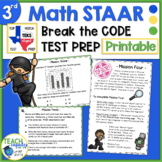 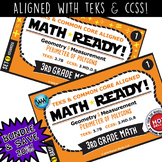 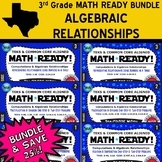 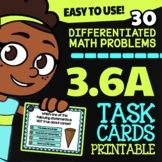 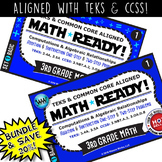 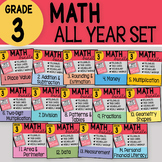 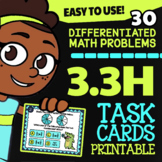 Task cards support the following 3rd grade Texas math standards (TEKS): 3.2A, 3.2D, 3.3B, 3.3D, 3.3E, 3.3F, 3.3H, 3.4B, 3.4D, 3.4H, 3.4J, 3.4K, 3.5A, 3.5B, 3.5E, 3.